Always alert Suzyn has pointed us to another contest. Share a memory from your life. Share a moment, an object, a feeling, etc. This does not have to be a profound memory, but should allow readers insight into your feelings, observations and/or thoughts. Deadline, December 15th. Maryland Literary Review is now open for submissions. Please send your best poems, short stories and essays to nleslie@marylandliteraryreview.com for the premier issue of Maryland Literary Review. The deadline for submissions is Oct. 31st. It’s our 30th Anniversary and MWA is celebrating with a special contest! Tell us a story based on the theme, 30 Ways to Love Maryland. The 30 winning submissions will be collected into an anthology that will be available at the 2019 MWA Conference. This contest replaces the novel contest. We will hold the novel contest the end of 2019. Submission must fit the theme 30 Ways to Love Maryland. Submission may be fiction or non-fiction. No poetry, erotica, children’s literature, or religious material. Work should be publication ready. There is no guarantee of publication. Limit of three entries per person. No entries will be accepted after midnight October 31, 2018. While writers do not have to reside in Maryland, each written piece must include a substantive connection to the state. Work will be judged on creativity, quality of writing, and fit with theme. There are no cash prizes. Winners will receive one copy of 30 Ways to Love Maryland at or around the time of the 2019 MWA Conference. Additional books will go on sale at the conference. Submission which do not meet the criteria will be eliminated. We declared a winner and several runners up in our contest. Thank you for your participation. Please enter our new writing contest. The contest is titled “Gaithersburg in 100 words. Why we like our city”. The prize is $100 USD, a dollar for each word, what a bargain. The criteria for judging will be correct grammar, good words about our city and emotional impact. Humor will be welcome. Submit by email before 5:00 PM on 8/31/18. See and disseminate the poster below. To do so, send a link to our site or page or right-click poster and select “Save As”. Then forward to anyone that may be interested. To enter click the link above (enter) and submit your entry or email MyCityin100Words@gmail.com. Please follow instructions in the poster. 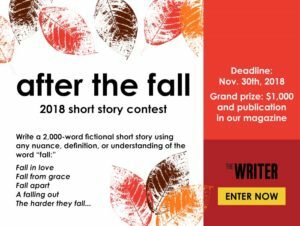 Our company is working to publish two anthologies (one fiction and one nonfiction) of works by emerging writers from Maryland, and we are wondering if you would be willing to help spread the word by forwarding this email to your group members. We would really appreciate it! The final deadline to submit to the publications is May 22nd. More information on what we are trying to accomplish with this series as well as our company’s submission guidelines can be found here: https://www.zpublishinghouse.com/blogs/upcoming-books/americas-emerging-writers-series. The Diverse Gaithersburg Poetry Reading and Open Mic will be held on the 2nd Sunday of every month, from 2-4 pm, at the Gaithersburg Library, 18330 Montgomery Village Ave./Gaithersburg, MD 20879, beginning in January, 2018. In addition to featured poets at each reading, there will be an Open Mic where members of the community can share their own work and have an opportunity to engage in conversation with the poets. Reflecting Gaithersburg’s diverse community, the series will present a wide variety of voices including those of Gaithersburg-area poets. If you would like to be considered as a featured poet, please send an email to DiVersePoetry@mail.com and include a one paragraph bio and either attach or provide links to 3 poems. Everyone is welcome to share a poem that they have written at the open mic following the reading. Enter your writing in the 87th Annual Writer’s Digest Annual Writing Competition. First price $5,000 and national acclaim.